Two unemployed youth in their early twenties from Loni, an industrial town on the Delhi-UP border, found a novel way of stealing bikes. This is what they did. They tracked potential bike sellers on the popular online buying-selling portal OLX. They would then get in touch with those who were posting bikes for sale, taking due care that they weren’t locals. They would approach them with the promise to buy, and insist on a test drive. The duo would then meet their potential victim in less frequented parts of the city, and take a test drive, never to return. In a few days, they would use fictitious names and fake profiles to place the same stolen bike on OLX to be sold. Needless to say, the registration papers would be fake. Aamir and Ubaiz look fairly affable, well groomed, dressed in jeans, their mild manner making them appear fairly trustworthy and genuine. Both of them are unemployed dropouts from school. To keep things under control, they chose buyers who were not residents of Delhi. They would enter into conversation on pretexts like getting the photocopies of the originals over a cup of tea or coffee, win trust, even demand some cash, before disappearing with the vehicle. They were found in possession of a stolen motorcycle and a scooter, 15 SIM cards, a printer and a laminator. The police is still verifying whether the recovered sim cards were procured on fake identity papers. With the arrest of Amir and Ubaiz, Bhajanpura police claims to have solved around a dozen of cases of vehicle theft. Many frustrated youth, out of desperation to make a comfortable living, indulge in these crimes. But that’s not a justification. They employ their talent and acumen in various ways, like they can undo the most sophisticated computerised locking system provided in high-end SUVs and sedans. They learn to subvert most high-tech systems within months of their introduction. And they are not engineers nor technicians, just youngsters desperate to make easy money. Take the case of a gang of thieves from Sambhal — a small town in UP, two hours drive from Delhi — who were apprehended by a Delhi police team lead by ACP (operations) KP Singh last year. This gang would only target expensive cars like Fortuner and Verna, according to Romil Baaniya, DCP (southeast). After breaking the electronic lock, they would disable GPS tracking system, engine control module (ECM) and electronic ignition mechanism of seemingly highly secure vehicles. Where did they get the know-how? Their source too would be high-tech: videos accessible on the internet. They would procure the gadgets required to bypass the security of the vehicle from e-commerce sites to enable them to break multiple security systems. Such offenders also tamper with the engine number and chassis number of the stolen vehicles. After producing forged documents, these stolen vehicles are re-registered with the help of some car dealers. 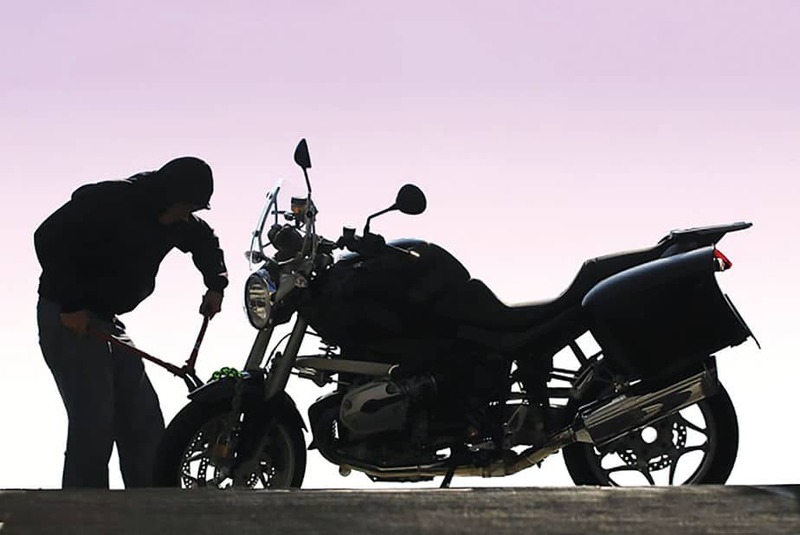 For unscrupulous youth, vehicle theft is an easy way of making a quick buck. Therefore, it’s not a surprise that this is one of the most prevalent crimes and accounts for around 18% of all IPC cases registered in Delhi. As per the latest Delhi Police annual report, during the year 2017, 39,080 vehicle theft cases were reported as against 36,702 cases in the corresponding period of the year 2016. Of the stolen vehicles, most are two-wheelers: 29,804 to be precise; 7,047 cars were stolen in 2017, which amounts to 20 cars being stolen every day in Delhi.